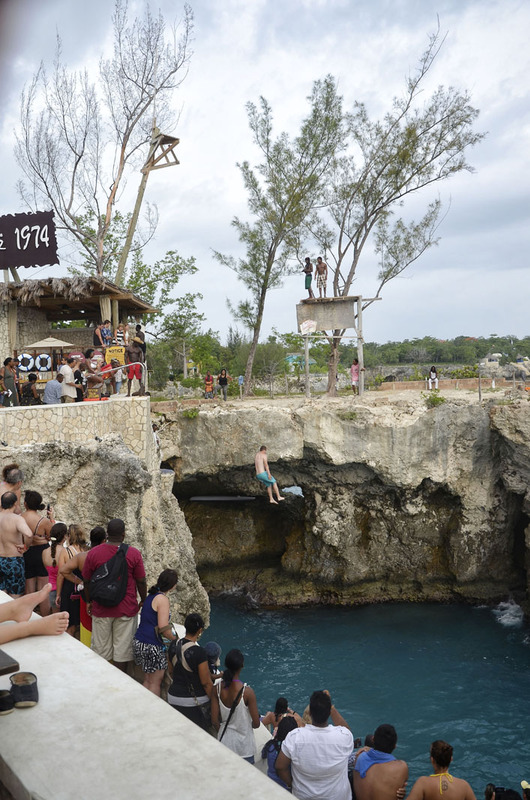 Rick’s Café in Negril Jamaica is the most well known place in Negril. It’s a very unique place to say the least. It was the first bar of it’s kind which was originally built in 1974. It was destroyed by Hurricane Gilbert in 1988, and then again in 2004 by Hurricane Ivan. Both times Rick’s Café was rebuilt bigger and better. 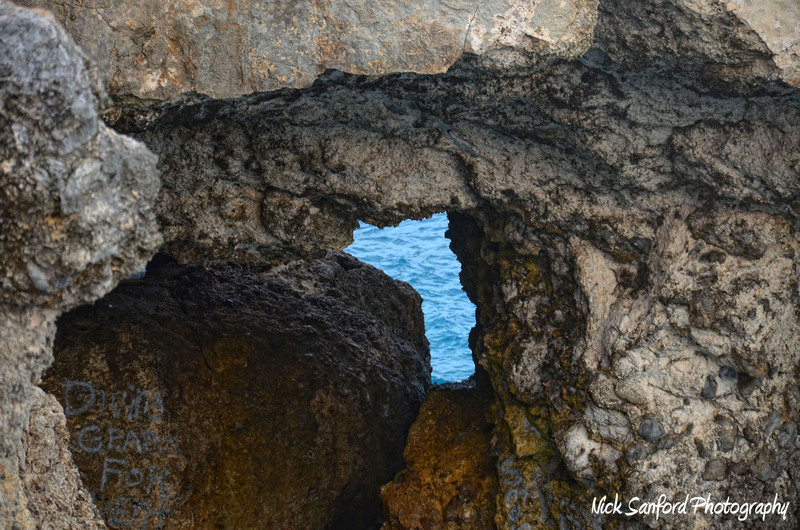 What you can expect when you visit Rick’s Café is pristine see through blue water, gorgeous cliffs, an amazing Jamaican jerk hamburger, and best of all the acrobatics of the local divers that are a step above crazy. 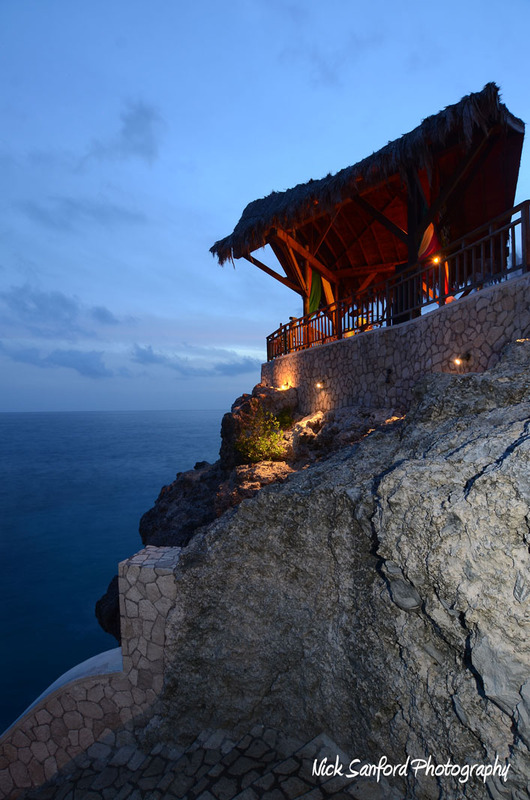 From 30 feet high above the water you can take a leap off the famous high cliff into the crystal blue Caribbean sea, that sits right below the outdoor patio. I wouldn’t recommend that jump for just anyone, but if you’re feeling brave then go for it! 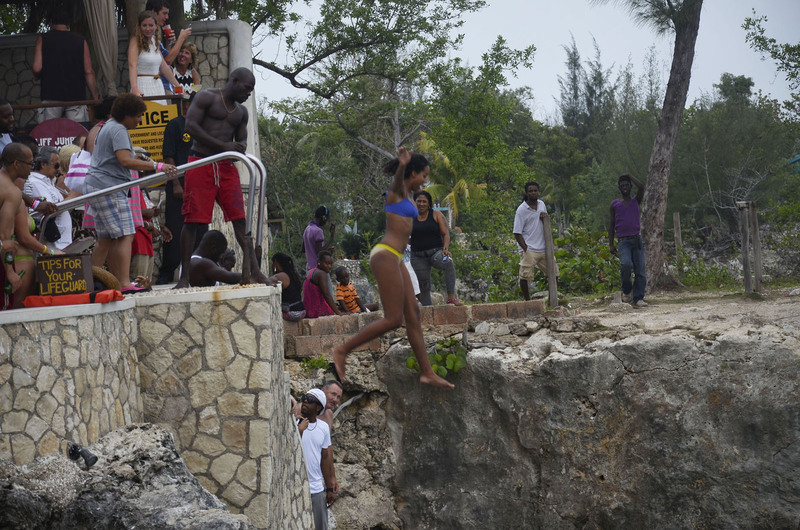 Then sit back and watch the local divers and the lifeguards do their thing while making your jaw drop. You’ll see them do jumps where 5 guys at a time fly off the cliff in unison. 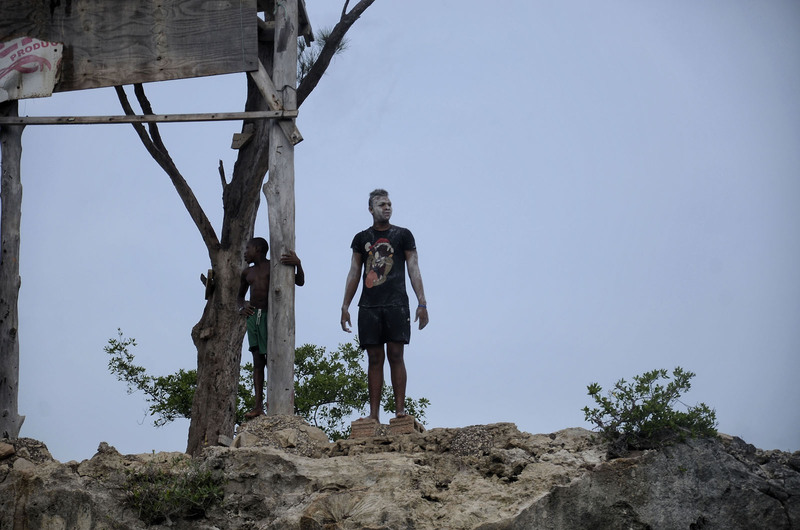 You’ll see instances where these kids jump from tall trees above the cliffs where it may be anywhere from 65-75 feet high. 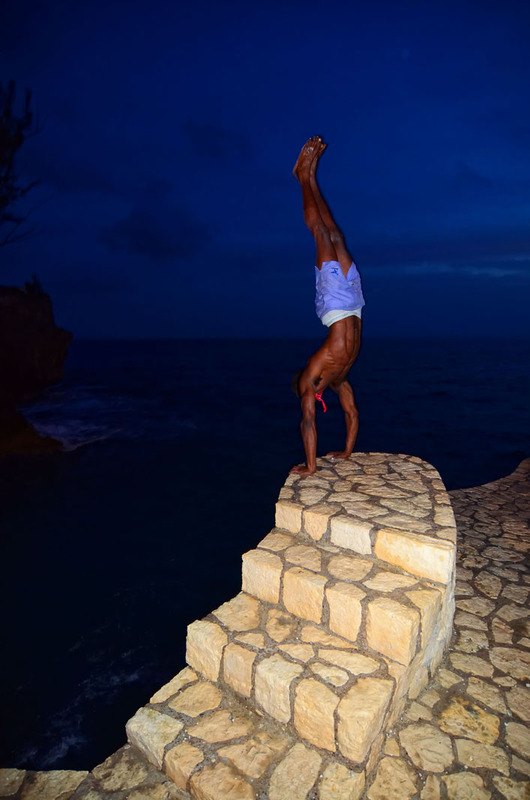 You can see in some of the pictures below, one of the locals is doing a handstand on the edge of the smaller cliff, but if he falls over he likely is severely injured. It’s fascinating to see the fearlessness in these guys. I didn’t notice the food being all that great here at Rick’s when I looked around, but I did get lucky and had one of the best hamburgers my mouth had ever tasted. 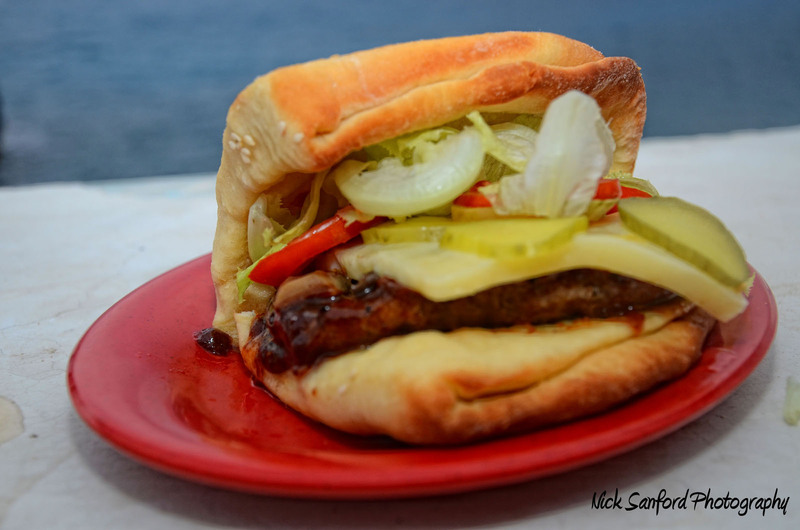 It was a Jamaican style hamburger with a coco bun and jerk sauce that gave it a very unique flavor to the burger. The meat wasn’t spewing with juice out of the sides or anything, but with the combination of the bun and that jerk sauce mixed with the fresh condiments it made it an unforgettable burger. There is a picture below just so you can get a better image of the difference in it’s shape. Don’t leave this place without getting a hold of this burger. Rick’s Café is also known for it’s unique sunsets that can be seen on the patio in the evenings. People go there just to have cocktails and watch the sun go down. 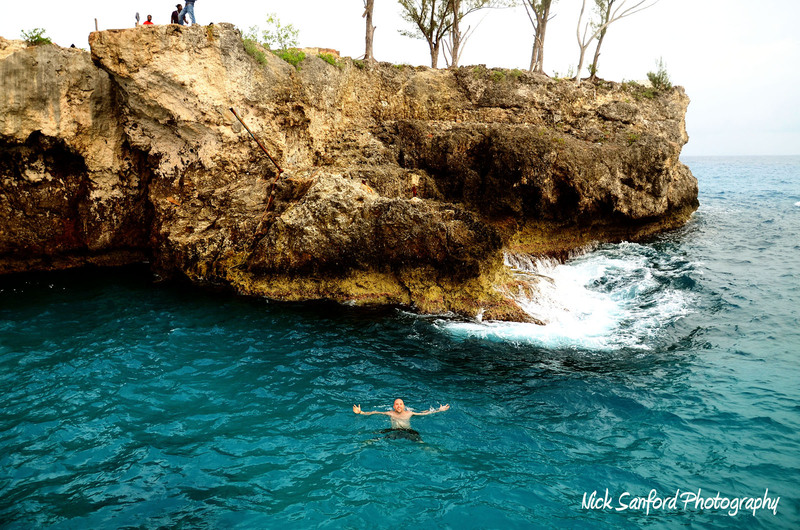 You can’t go wrong spending your afternoon and evening at Rick’s Café, which is the signature spot in Negril Jamaica. 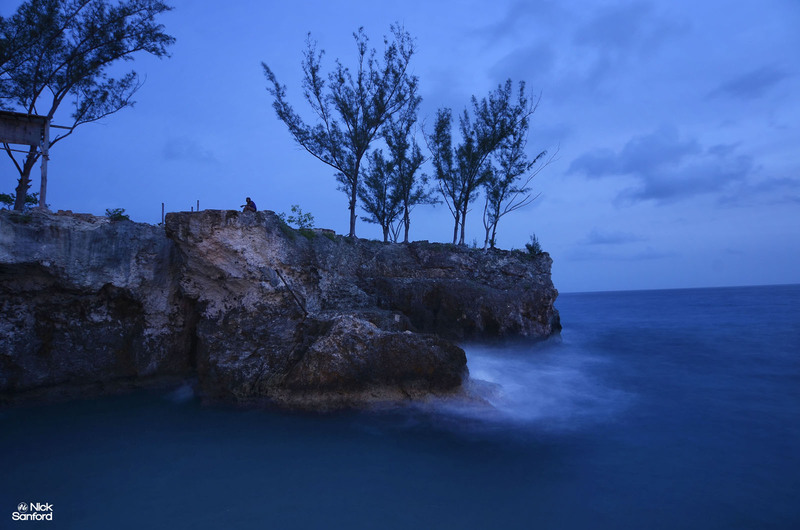 If you’re in or near Montego Bay, take that trip out to Negril and get a change of scenery. You’ll be so glad you did.